From solutions to help you meet the challenges of today and tomorrow, tailored education sessions, and exclusive networking opportunities – DSC is a truly unique experience that facilitates the right conversations, enabling individuals and organizations of all sizes to achieve their goals and grow. 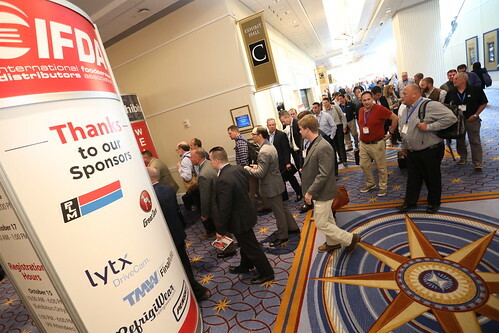 More than 300 leading distributor and vendor companies participate. More than 1000 industry leaders come each year. Networking throughout the conference is an exceptional opportunity to meet peers. 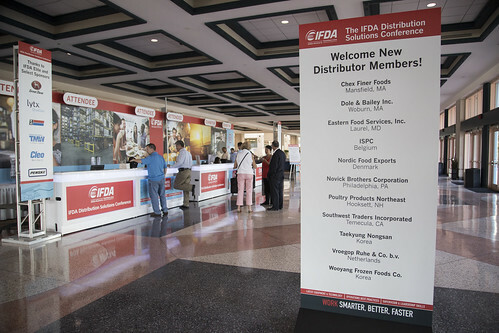 If you provide products and/or services to the foodservice and convenience distribution industries, this is the one conference of the year to meet with executives who have purchasing authority for forklifts, transportation assets, other hardware, technology, and services supporting distribution center and transportation operations. This is key opportunity to develop new business relationships, grow your business, and strengthen relationships with some of your most valued customers. The Distribution Solutions Conference provides in-depth education as well as 9.5 hours of dedicated exposition time.